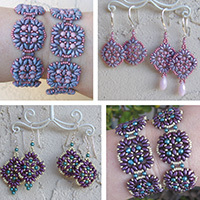 This pattern features Potomac Bead Company’s new two-hole StormDuo and IrisDuo beads. 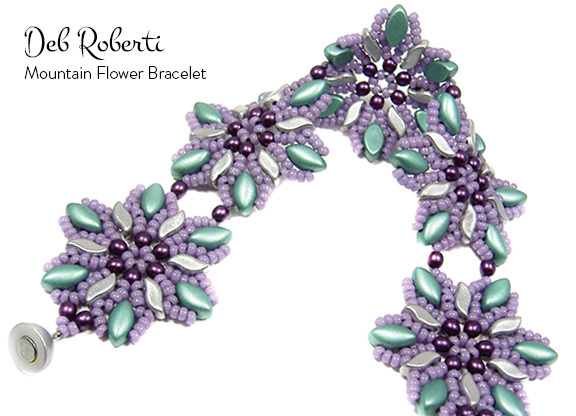 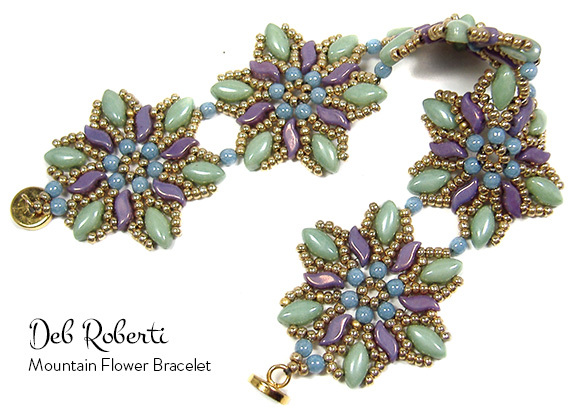 A larger version of my Starflower Bracelet, the bracelet is created by beading five (or more) separate Mountain Flower motifs, which you then join using tail threads and beads. 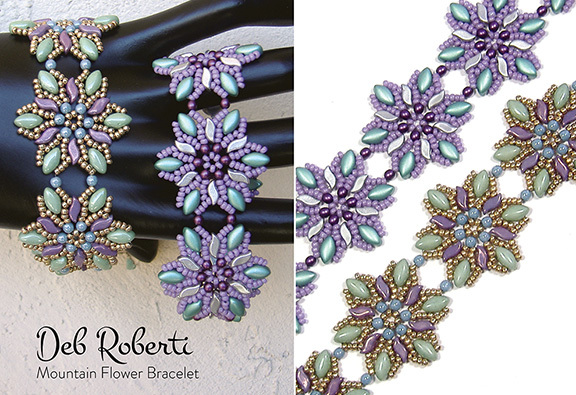 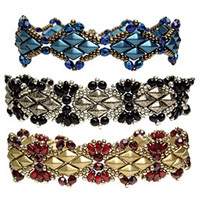 Full step-by-step instructions are included for creating the motifs and joining them to create a bracelet.